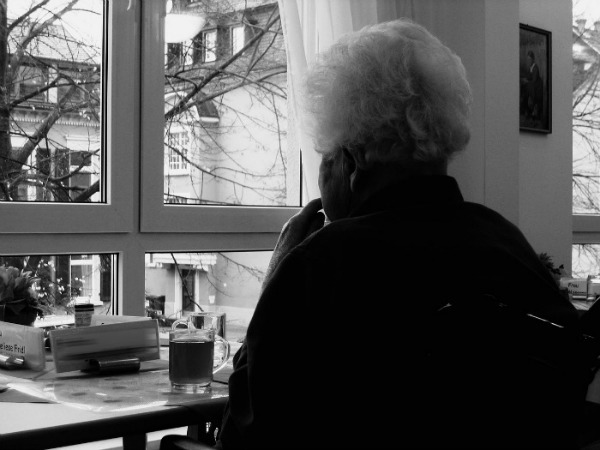 In the midst of dark winter weather, many elderly people are isolated at home, and this can be a dangerous situation for those who don’t have caretakers or family members in the area. From slipping and falling inside to getting stuck in bad weather, there are a variety of situations that can be hazardous for older people home alone, which means its important that we take care of those around us! There are several factors to consider with an elderly person in your area. Not only the weather, but their own health issues can make daily activities more dangerous as well. For those with dementia or Alzheimer’s, winter weather can be deadly. Many people don’t have daily caretakers and can wind up outside in frigid temperatures until it’s too late. Hypothermia in the elderly is also common because lessened brain activity makes it harder to self-identify. The Quad-City Times says that its important to listen to the “umbles” from seniors, including the “stumbles, mumbles, fumbles and grumbles.” In many cases, hypothermia can present itself in confusion, tiredness, difficult breathing, shivering or lack thereof when it should be occurring, a general loss of control over body movements, or limb stiffness. Many neighborhoods institute local watch programs for elderly people, so check with your local police or fire station to see if something similar is available in your area. In San Diego, the Senior Volunteer Patrol places calls to the elderly once a day to make sure they answer. They also make in-home visits one time a week. Not only is this kind of care for the elderly in our communities important to their health and safety, it’s important that they know they’re part of the community even in old age. Many senior citizens are subjected to long periods of time alone if they have mobility or health issues. On top of that, many elderly people’s families don’t live in the same place they do, so they might have issues accessing things like groceries or medication as their health declines. Sometimes all it takes is a simple knock on a neighbor’s door. We are often too quick to dismiss the elderly as unimportant members of our neighborhoods, when, in fact, many of them have great stories and priceless insight about the places we call home. Either way, we owe it to the elderly to ensure their health and safety this winter and beyond. At Freedom Home Care, we strive to provide options to support you and your family, including those who need daily care or check-ins. Feel free to contact us with any questions about any of the in-home care services we offer.